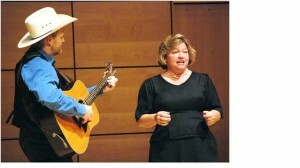 Choir members, family and friends will entertain you with Duets from Cinderella and Wicked, stories of “Sunbonnet Sue” and “Prinderella”, Solo vocal and instrumental selections from bluegrass to classical, from folk to rock and jazz. ASTER will perform several audience favorites. Appropriate for ages 10 and older.